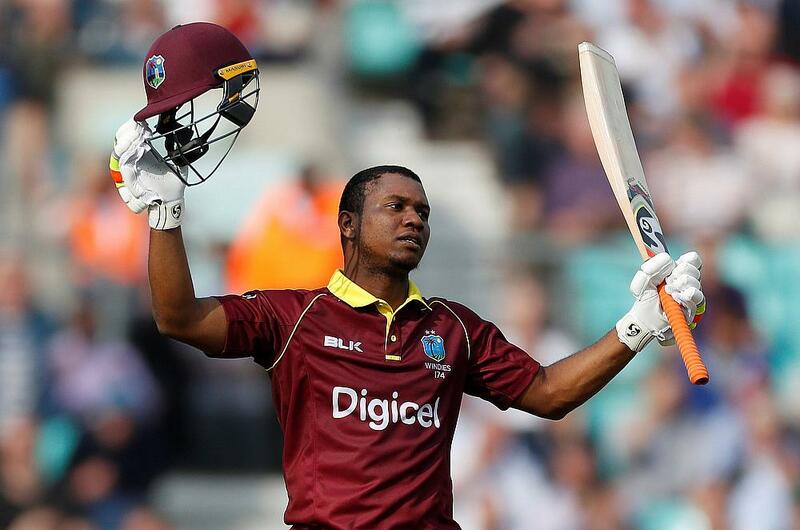 Lewis stunned the English attack with a fluent knock that had 17 boundaries and seven sixes but could not quite complete a double century as he was forced off the field with an injury. 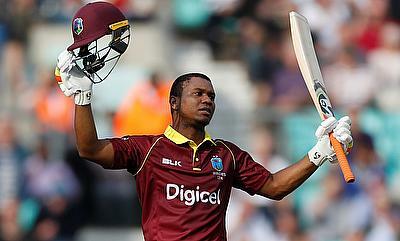 Jason Holder also contributed with 77 runs as West Indies went on to post 356 runs in their 50 overs. However, they could not quite defend the total as Moeen Ali and Jason Roy played sensational knocks of 84 and 48 respectively to help the home side chased a revised total as per DLS method despite a five-wicket haul from Alzarri Joseph. Roy continued his good form in the final game in Southampton as well as he plundered 96 off 70 deliveries but it was Jonny Bairstow, who was instrumental in England chasing down 289 runs with ease with nine wickets in hand. Lewis' closest contenders were Rohit Sharma and David Warner, who had a fantastic ODI series between India and Australia as well. Rohit, who emerged as the leading run-scorer in the series slammed 190 runs in the final two games while Warner had 177 runs with Aaron Finch following him with 94 and 32. Ajinkya Rahane also continued his good run with four consecutive fifties while Kedar Jadhav also chipped away with a half-century in the Bangalore game. The first Test between Bangladesh and South Africa in Potchefstroom saw Dean Elgar and Faf du Plessis scoring 199 and 137 respectively in the first innings while Temba Bavuma and Faf du Plessis slammed half centuries in the second innings. Keshav Maharaj also had a good game with seven wickets as the Proteas completed a 333 run victory. Dinesh Chandimal had a special knock of unbeaten 155 while Dimuth Karunaratne contributed with a 93 in the first Test between Bangladesh and Sri Lanka but the hero of the game was Rangana Herath, who bowled out the home side with an 11-wicket haul. Yasir Shah too claimed eight wickets in the game but could not quite take his team over the line.